Lesley has lived and worked around Greenwich her whole life and has had many interesting jobs working for Tate & Lyle and Morden Mount Primary School. 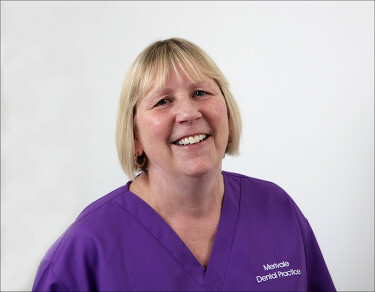 Lesley joined the practice in 1999 and has recently been on courses relating to implant dentistry and sedation. Outside work Lesley is dedicated to her family, with young granddaughter Lilly holding a very special place in her heart. She also loves animals, particularly dogs, and her bulldog Bradley keeps her very busy too.